This 12 track album opens with lead single Things Can Only Get Better. No, not the same song as the hit by 90s dance act D:Ream, but his own hit single. This version opens with a soft synth before a thick bassline and heavy synth stabs lead us into the verse with Howard’s strong and confident 80’s styled vocals. He gets a fair range to cover here, and he’s aided by the harmonies from his backing vocalists who include Claudia Fontaine ( The Beatmasters) and Caron Wheeler (Soul II Soul). This is quite a catchy little track. It scored him a #6 UK hit. Next up is the gentle acoustic guitar of Life In One Day, before switching over to a more electronic calypso sound. Honestly, it sounds better in reality. There’s plenty of percussion here, and again the backing vocalists return adding lots of warm vocal layers to the song. This was the third single and it reached #14 in the UK. Title track Dream Into Action follows this, with a chugging bass and synths. This sounds quite dark and robotic. Howard’s vocals cut through, as do the hard beats. Not particularly a light, catchy pop song, this is an interesting song but definitely not single territory. It also comes with two false endings. Fourth track No One Is To Blame is by contrast a slow, gentle song. Here, Howard is pitched against an electric piano and sounds not dissimilar to something you’d hear from 80s Elton John. Once it gets going, the beats are really nice, but they’re soon put into the background whilst Howard and the piano take centre stage. This was the fourth and final single from the album, and its lowest charting one – reaching #16 in the UK. Up next is Look Mama, which starts with tinkering synths that remind me of Doctor! Doctor! by contemporaries, The Thompson Twins. This song has much more energy to it and is laden with lots of wonderful sounding synths. As a result it’s a catchy electronic 80’s song and a second single that gave Howard a #10 UK hit. Side one closes with Assault And Battery which despite its title, starts with a tinkling gentle piano…. but then some heavy robotic synths join in to change the tone. A thumping bass drum arrives with Howard’s vocals and the song grows perfectly. Eerily a group of children sing with Howard about farmyard animals in some almost fairytale dream middle section before that menacing, growling synth returns. The piano remains constant, dancing around the synths and beats throughout. It’s a brilliant song. Side Two opens with Automation. Bleeps frantically work their way to a thumping bass drum before guitars and vocals arrive. At times, this reminds me a little of Holly Johnson meets the Pet Shop Boys. Next up is Is There A Difference follows, and it has a great little bass-heavy intro, but gives away to a lighter mid-tempo pop song. However, this song sounds like another 80’s song that I just can’t quite put my finger on. There’s a nice chorus section where the tempo feels like it increasing thanks to increased bass guitar giving an almost disco feel, but this is shortlisted. Elegy follows this, opening with what sounds like a scene setting moment from an early 80s episode of Doctor Who. This is a slow ballad, mostly on synth, but Howard’s sad low vocals are joined by the loveliest but saddest of all string instruments – a cello. The cello compliments his vocals well, and let’s him show off his vocal range. The synth sounds a bit dated now, but it’s a nice little sad track. Speciality is up next, and again by contrast we’re back to chugging and bleeping synths. This time joined by a fast percussive beat. Then it switches over to a big echoey beat for the choruses. Howard’s vocals are fast with the best in the verse, and at times playful, and big in the chorus. Penultimate track Why Look For The Key is up next. Again we have oodles of synths and bass, and Howard makes light work of the vocals. It’s not the most interesting or catchy songs, but it’s still fairly nice. The album closes with Hunger For The Flesh, which despite its tinkling intro that reminds me of Kylie Minogue’s hit Je Ne Sais Pas Pourquoi, the song takes a dark turn that suits its title. This is aided by some low synth melodies as Howard sings lines like ‘spare a thought for the souls who cannot leave this earth’ and roars out ‘caught up for eternity’. This almost feels like it’s taken from the soundtrack from an 80s horror film. It’s not, but it’s certainly one fine epic ending to an album. He even manages a gothic Dracula-esque church organ moment before roaring out to the dramatic ending. Brilliant! Over all, this is a great example of synth-heavy 80s pop. Howard’s vocals might sound like they’re fairly stylised to that era, but here he shines across a number of tracks. There’s plenty of styles and themes explored here, and that ensures that it’s got wider appeal. The two closing tracks from each side, and the opening track are all particularly wonderful. 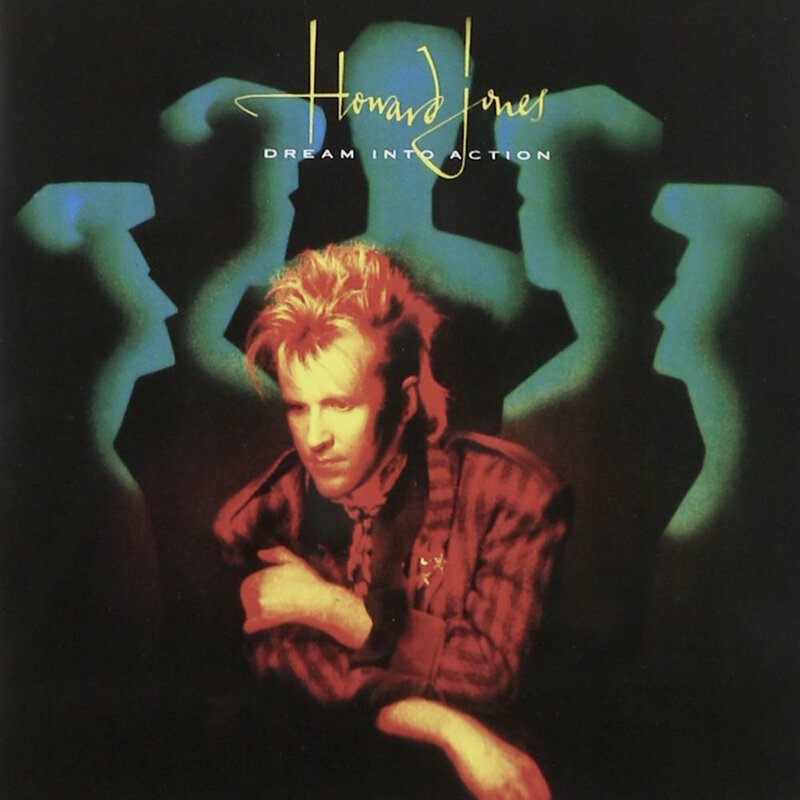 Where is Howard Jones now? After the success of this album (during which he performed at Live Aid), Howard continued to record and release singles and albums, but sadly he has never since achieved a top 30 UK hit single. However, his follow-up album One To One did manage to hit the top 10 (at 10) in 1986. His most recent charting single was dance track Slip Away in 2005 as featured artist alongside Mojito, but it stalled at #82. Despite this, he continues to write, record and perform live. His most recent album was Ordinary Heroes (2009) but it failed to chart in the UK. In 2015, after a PledgeMusic crowd-funding campaign, he released Engage ‘a multi-media experience’. POP RESCUE COST: £3.00 from Era in Brighton, UK. Posted in 1980s, Howard JonesTagged 1985, album, Caron Wheeler, Claudia Fontaine, Life In One Day, Like To Get To Know You Well, Look Mama, No One Is To Blame, review, Things Can Only Get BetterBookmark the permalink.